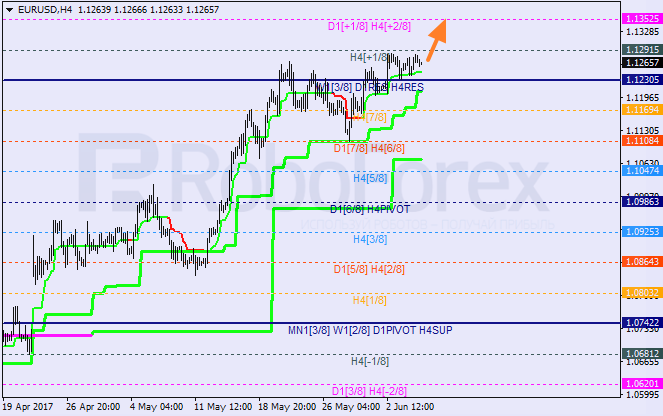 The EUR/USD pair is still consolidating inside the “overbought zone” between the 8/8 and +1/8 levels. 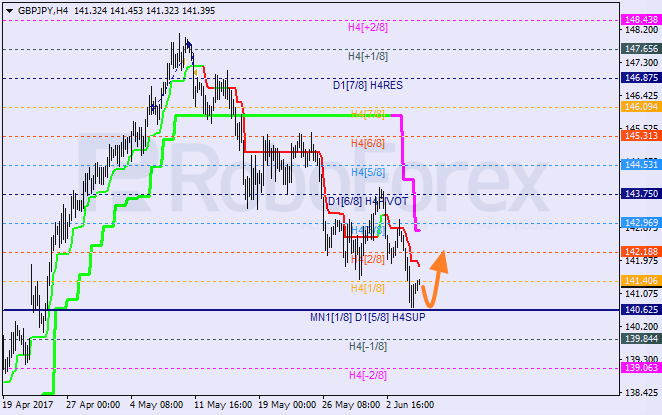 The H4 Super Trend is a support level. As a result, on Wednesday the price may break the local high and test the +2/8 level. 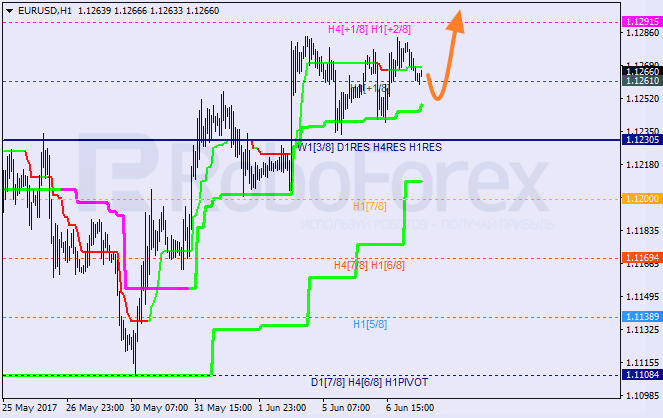 At the H1 chart, the pair is trading between Super Trends again. Later, price may resume moving upwards and break the +2/8 level. In this case, the lines at the chart will be redrawn. Yesterday, the GBP/JPY pair broke the 1/8 level and right now is trying to rebound from the 0/8 one, which may be tested once again during the day. If the price rebounds from this level one more time, the market may start a new ascending correction towards the 2/8 one. 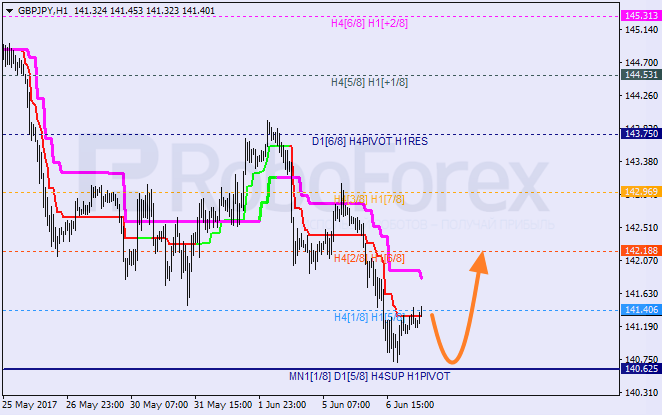 At the H1 chart, the market is testing the 5/8 level and the H1 Super Trend. If the price rebounds from these levels, the pair may fall to reach the 4/8 one and then start a new bullish correction with the target at the 6/8 level.